In Chinese philosophy, yin and yang describe how seemingly opposite or contrary forces may actually be complimentary, interconnected, and interdependent in the natural world, and how they may give rise to each other as they interrelate to one another. 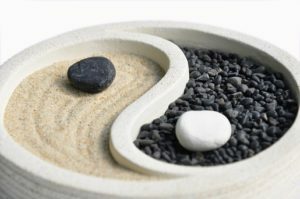 The merging and integration of general ledger accounting and portfolio accounting has, at least to me, become the yin and yang of the family offices. I have listened for years to the very committed view point from investment professionals that “…we don’t care about tax and accounting…it is not relevant to what we do and how we report”. I have also listened for just as long to the opposite, equally committed viewpoint claiming, “…the only real way to account for investments is through general ledger accounting”. This is an issue consistently discussed within the investment industry. Panels of experts pour over the concepts to ultimately return to the same opposite views. What remains overwhelmingly apparent, however, is the fact that you need both general ledger and portfolio accounting. This a very real fact that our industry has been grappling with for many years. In the investment industry, the housing of the investment assets resides with the custodian. In today’s world, it is as an electronic copy of how things existed in a very physical way many years ago. Originally stock certificates would be physically delivered to a Bank or Custodian to hold the asset. If there was a dividend connected to the asset, you would need to endorse the back of the certificate showing that you had received payment from the company, and other very manual administrative tasks that were related to holding the asset. In a sense, these practices were more akin to the legendary Gringotts Vault of Harry Potter than anything we are familiar with today. But as time has gone on, the industry has shifted to being almost entirely electronic, or at least primarily electronic. Still, the underlying concept remains unchanged. The bank or custodian tracks all the activity as part of its fiduciary responsibilities and the accounting method is primarily that of trust accounting. Since the ability to deliver information electronically has existed, custodians have delivered data to investment management firms and other organizations throughout the industry. The core software systems that these firms used to receive this information have primarily been portfolio accounting based systems. Because of the two varying views on accounting, it became very clear that a system based on portfolio accounting could not simply be delivered trust data without the consequential need to make at least some sort of immediate modifications. As a result, many software firms have worked to convert the trust accounting data into the portfolio accounting data format. This method of “cooking” data was and still is complex and a core part of the investment operations process for most investment firms, especially those who have any assets based on marketable securities. Why is it important to discuss this concept in an article that is meant to be focused on the integration of general ledger and portfolio accounting methods? To put it simply, the same concept must exist to be able to deliver portfolio accounting data into a general ledger accounting system. The data must be converted into the new format—otherwise the integration will only create more work and it will never fully reconciled. Many firms have tried to send portfolio data to general ledgers, but in the end, the amount of manual intervention by the accounting persons has made such practices impractical and not worth the effort. Fortunately, there exists a real solution that works and will truly unite the two worlds. Just as custodial data needed to be reworked and translated to become investment data, there also exists a need for investment data to be reworked and translated to become accounting data within a general ledger. At Accusource, we have introduced a new line of business that is entirely focused on solving this problem. AccuGL combines Rules Based technology along with our experienced staff to bring a new service to our industry. Our revolutionary service allows for information to exist as both the Yin and Yang of our industry—uniting the portfolio accounting and general ledger environments once and for all. The need for a service such as the one we can provide has existed for decades. The past decade in particular has witnessed this need skyrocket as the focus of the investment world has expanded to include alternatives as core investment vehicles. With these complexities the ability to eliminate the walls between investment data and accounting data has become an unquestionable necessity. With AccuGL combining these core systems each organization can have properly delivered information for their independent reporting needs that is so critical to Accounting and Tax, thereby allowing the accounting side of the equation to take advantage of the same operational efficiencies that have existed on the investment side for so many years. In other words, it may be time to recognize the Yin and Yang of the investment world and accept it as who we are, or at least who we ought to strive to become. If you would like to explore AccuGL, our new service that integrates general ledger and portfolio accounting systems, please contact me at klawson@accusourcellc.com or 610-885-9006.